According to a recent news report from Equipment World, a mechanic was killed while performing maintenance on a bulldozer. The victim was a 21-year-old man at the time of his tragic and untimely death. Authorities have said worker was under the bulldozer after he had raised it on a hydraulic jack. The jack was placed under the front of the bulldozer, and, while workers was under it, the position of the jack shifted, causing the heavy piece of construction equipment to collapse on the workers. The heavy metal tracks of the bulldozer landed directly on victim’s chest. First responders were immediately called to the scene of what would turn out to be a fatal workplace injury and immediately managed to jack the bulldozer up again and pull the man out. While it may sound strange to wait until first responders arrive to get the bulldozer off of a victim, it is best to ask the 911 operator what to do, as that is who is in constant contact with the first responders. In some cases, especially when a person has been stabbed or otherwise impaled with an object, it is best to leave the object in place until doctors can safely remove it. In the case of when a person is crushed, sometimes the pressure from the object on top of them is the only thing keeping them alive. For this reason, it is best to ask for guidance from the operator and do exactly what he or she tells you to do. Once he was removed from under the bulldozer, EMTs found victim unresponsive and tried to perform CPR. Unfortunately, victim’s injuries were too severe, and there was nothing anyone could do. However, since many EMTs are not certified to pronounce a victim dead, they will often continue to perform CPR and transport the victim to a local trauma center, where a doctor can pronounce a victim dead. In this incident, victim was transported to a local hospital, where doctors pronounced him dead shortly after arriving. The United States Occupational Safety and Health Administration (OSHA), will be performing a complete investigation into the cause of this fatal on-the-job accident, and to determine if any safety regulations were violated that resulted in the workers’ death. It should be noted that OSHA investigates every fatal on-the-job accident and there have been no allegations this particular employer was responsible for the accident in any way as of the time of this article. 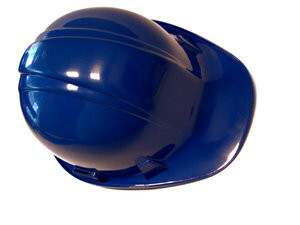 In cases of fatal workplace accidents in Boston, there is no need to prove negligence on behalf of an employer to collect workers’ compensation benefits, as the system is designed to not have a fault requirement, as is the case in civil personal injury lawsuits. It is only necessary to prove worker was injured and became ill, and the injury or illness is work-related. There will also be a need to prove worker is unable to work as a result of the injury, if there is a claim for lost wages, as if often the case. There should not be as much argument for medial bills, but insurance company may try to claim there was a preexisting condition.